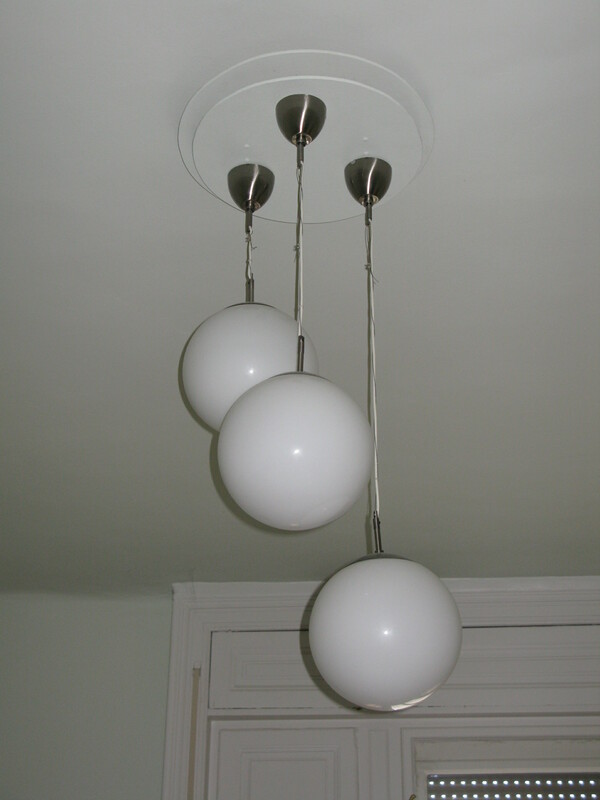 Anyway, it’s what came to mind when PF suggested that I ‘fashion’ a chandelier for my living room. With 4-metre ceilings, I’d need something rather substantial; something authentic and rather substantial would cost serious money… money I didn’t have. He also made the point that up until you cross the threshold of my living room, my flat screams ‘contemporary’. Once you step inside, it goes all old-fashioned. It needed a transition – a link between the two worlds. Personally, I thought this was a little rich but hey, I’m not in the interiours business – what would I know? He suggested that if I continued the big, white ball theme that runs from the front door, down the hallway into the living room, I could have just that. A transition. ig, white balls from Ikea. We had to make the mount. I used the term ‘we’ advisedly as all I did was source the jig saw (a belated thanks to PE) and the MDF. Now, I know from experience that when I have an idea in my head that I want to materialise, all the explaining in the world just won’t do it. It has to happen before people can see what it is I’m on about. I had no clue where this was going. But I was sure of two things. (1) PF is an architect and knows his stuff. 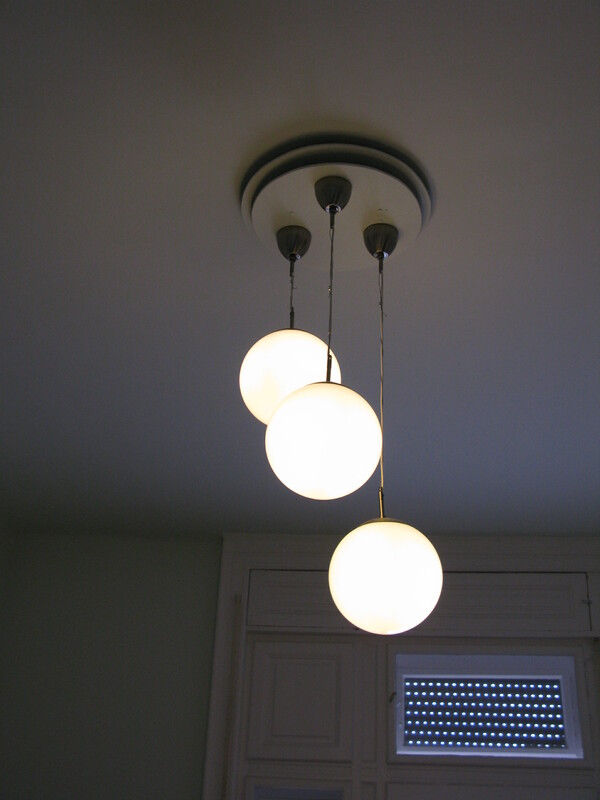 (2) I was sick to the back teeth of looking at a bare lightbulb. So much after much blood, sweat, and a few tears, voila! I have a chandelier. One that is more than just a light – it’s a transition piece, a statement piece, a one-of-a-kind. Cheap at half the price!